Friends of the Earth Hackney and Tower Hamlets is a group of volunteers, committed to campaigning on local, national and global environmental issues which affect us all. Join us to plant wildlfowers and help bees! Britain's bees are declining, and we need them! Help us to protect bees through local action and political lobbying. Air pollution is a huge issue, and affects the poorest worst. We're campaigning for cleaner air in Tower Hamlets. Climate change is the greatest threat we face. 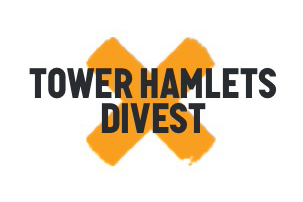 We're pressing for Tower Hamlets to divest its pension fund from fossil fuels. Together with Sustainable Hackney we run Hackney Fixers, who run events to help people get their electronics fixed for free.